below is my collage work that was modeled after my gorgeous Stoney (aka Mr. Bones). Mr. Bones was rescued from an amazing greyhound rescue organization – Amercian Greyhound… without them our little angel Stoney would not be in our lives today so we are forever grateful for all their amazing organization of volunteers do for the greyts and for their owners that love them! 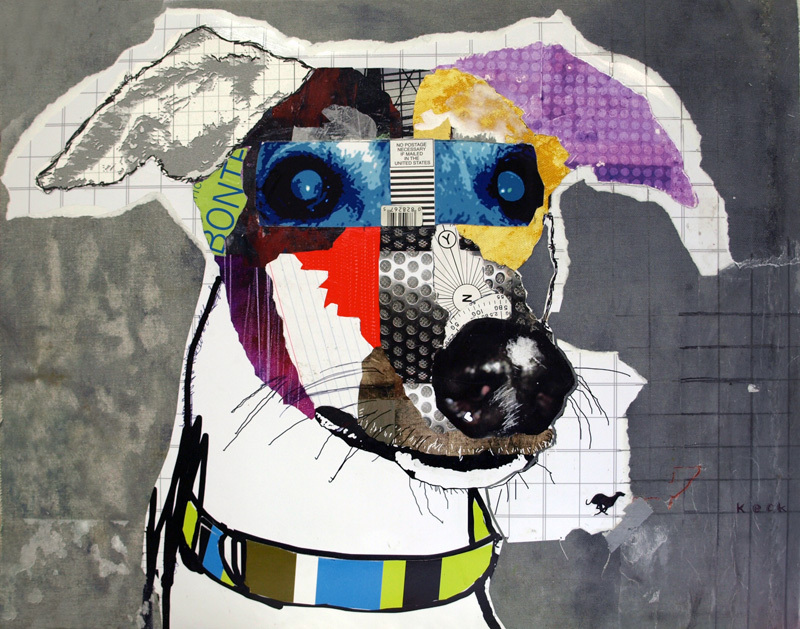 the original greyhound dog art collage of my Mr. Bones, titled: Stoney is available here. Fine art giclee prints of Stoney are also available in two different sizes: 16″ x 20″ Greyhound Dog Collage Art Print and a smaller size of 8″ x 10″ available here. I am looking for individuals and companies who will pledge money to see me jump into Lake Michigan for this event. All of the money is donated to AmericanGreyhound.org. This is American Greyhounds 2nd annual polar bear swim! Last years swim included 6 polar bears and American Greyhound raised over $1600 to help with their rescue efforts. American Greyhound is hoping to eclipse those numbers(both #’s of swimmers and funds). We will be jumping in Lake Michigan at 8:00 AM New Years morning, at North Avenue Beach. If you are able to pledge money to me for FREEZIN FOR A REASON please use the information below to send in your pledges. This is a really GREYT cause!! 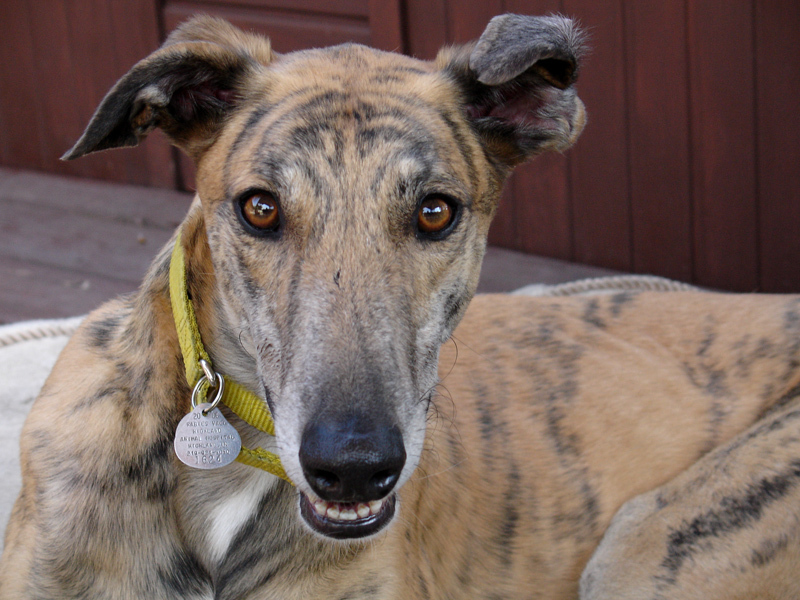 AmericanGreyhound.org has now saved the lives of over 1,000 greyhounds who would have otherwise suffered a horrible fate. This GREYT organization saves these most amazing boys and girls from the racetracks and fosters them until they help these wonderful dogs find loving, caring, forever homes. Please note that if you are able to pledge any money for FREEZIN FOR A REASON your donation pledge is tax deductible. If you are mailing in a check please include a note with your check with the mailing address you would like your receipt sent to.